With Mother’s purchase of the building in 1972, she took over the last of the storefronts in the building that she was in on Ponce de Leon. That expansion gave her more seating, more kitchen space and a proper waiting room. Mother’s seating capacity became 375. A number now that just amazes me because my restaurant, The Farmhouse, seats 65. To imagine that multiplied times 6 just boggles me because my mother seemed to handle it with such ease. On Mother’s Day, we will potentially have 360 guests or more. 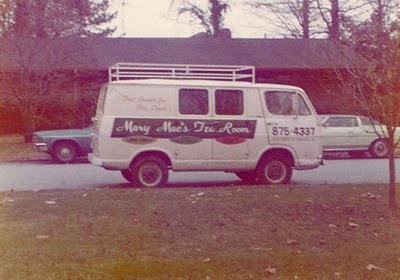 In the height of Mary Macs popularity in the late 70’s and 80’s, Mother served over 2000 meals a day! That is a lot of turnip greens, corn and green beans. And it was all fresh. Just think about all that corn shucking- like 500-600 ears a day. When I am in the kitchen every Wednesday prepping with my staff for the week’s menu, we often discuss the amount of vegetables Mother had to have prepared every week. Of course, she had 40 in the kitchen prepping and cooking. But don’t we all just marvel when we find ourselves in a situation or job very similar to one our parents had and remember the grace and beauty in the way they dealt with it. I always had an amazing amount of respect for Mother and the job she did but I have even more now. Especially every Sunday when I am preparing my orders to place for the week ahead. When I call in my produce order for a case of green beans and whatever else, I think of Mother ordering 25 cases of those same beans and bless her for her fortitude and teachings. Love you Mama! I am just now catching my breath from Easter Sunday. We started cooking Fried Chicken at 5am on Sunday morning (that was our sunrise service!!) in anticipation of a big crowd. When the doors opened at 11:30am, it was nonstop until the last chicken was served at 3:30pm. We served 258 guests out of what used to be my home kitchen. Of course the kitchen has been revamped, but when I stood back at the end of the day I had to smile knowing the Sunday lunch numbers were much smaller not so many years ago. As I drove up to the kitchen early Sunday morning, I had a “conversation” with Mama.”Can you believe this Mother? Here I am on the way to the kitchen to cook Fried Chicken for several hundred just as you did so many mornings at Mary Macs.” Never in my wildest dreams did I see this as my Sunday work but as so many of us have learned, life has a very funny way of bringing you back to the destiny you were meant to live. In the Atlanta restaurant scene, Mother’s title was “Queen of Dixie Cuisine.” And, it does not get more Dixie than Fried Chicken. So who would want to go up against a Queen’s chicken? Until I took over the Farmhouse restaurant just this past year, I had never fried a chicken in my life!! Steve and the girls and I had dinner with Mother at least one night a week at Mary Mac’s so it wasn’t as if they were deprived. When your Mother has the best chicken in town , why cook it at home. Plus, I had seen so much of it in my lifetime that it was never a choice of mine when we went out for Southern. But I here I was in my “kitchen” serving Sunday chicken with horseradish potato salad, steamed asparagus and Mother’s squash souffle to all the guests dressed in their Easter finery. The Atlanta restaurant scene was not a big one in the sixties. Mary Mac’s was one of a handful of restaurants in the city. Most people were still eating at home or at their clubs(for the Buckhead and Ansley Park set.) But the 70’s certainly changed that. Mother started to notice the pick up in business and expanded to the next store front in her building on Ponce de Leon. With that expansion, it gave the dining room 60 more seats. 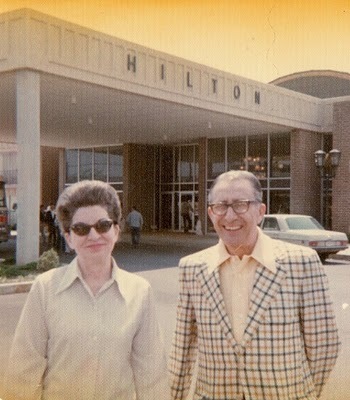 Then in 1972, Mother’s landlord called and offered to sell her the building. Thrilled with the possibility, she approached a local banker and daily customer for a loan. Imagine her reaction when he rejected her request because she was a woman! Not to be daunted by his refusal, she tried another banker and customer and received the same response. With that, she approached her two sisters, Sara Spano and Merle Lott for a loan. Aunt Sara had inherited some money from a cousin and Aunt Merle had invested wisely in real estate and stocks. I can remember Mom making the drive to Columbus to pick up the check from Aunt Sara and thanking her for her support. 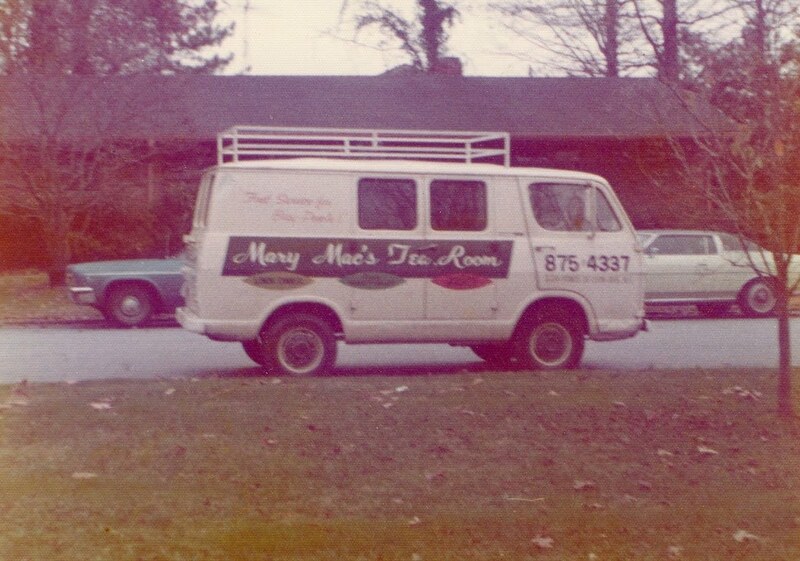 The 70’s also brought a whole new energy and customer base to Mary Mac’s. Because Atlanta and it’s leadership had handled the issues of the Civil Rights movement with such dignity and respect(remember that Atlanta had no race riots unlike other southern cities) and were forward thinking on transportation issues, Atlanta appeared to be open to new possibilities and new kinds of residents. Midtown Atlanta, where Mary Mac’s is located, became the hang out area for the hippie movement. Peachtree and 10th was filled with kids from all over the south who left their small southern towns to move to the “groovy” big city. Store fronts that had become vacant due to the move to suburbia became filled with head shops, poster stores and the like. I fondly remember a fringe vest and pocket book that Dad and Mom had made for me by one of the regular customers. Yet though they had left small town mentality for big city openness, they still craved the soul food they had eaten all their lives. And unlike several other restaurants that did not want “those weirdos” in their establishments, Mother welcomed them into her dining room as she did Atlanta’s growing homosexual population. 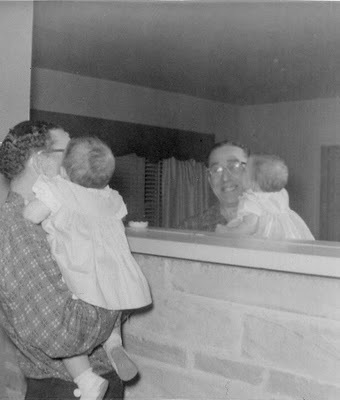 Like the hippies, young homosexuals from all over the south were moving to Midtown Atlanta to explore the acceptance of alternative lifestyles that was prohibited in their small town.Like their hippie neighbors though, they too craved a taste of the south which Mother was happy to supply. Mary Mac’s had to have been quite the sight with such an array of clientèle. Office workers, business executives, drag queens, psychedelic hippies and more. And it all worked because Mother and Dad truly welcomed all that came through the door. Their tolerance for people from all walks of life created such a vibrant energy in that restaurant. There were no pretenses, no judgements. It was all about creating a place for people to have good food with good company. And, I feel they succeeded beautifully with that plan. When mother bought Mary Mac’s, the restaurant only sat 50 people and the kitchen was in the back part of the building on Ponce de Leon in Midtown Atlanta. All the cooks were older African American women who had been taught by their mama’s how to cook. Mary Mac’s was opened five days a week for lunch and dinner with a three hour break between the two meals and closing at 8pm every night even Fridays. My first job was drying the silverware when I was six. Mom would pick up my younger sister and I every Friday and take us back to the restaurant for the evening. I can still remember the smells of walking in the back door to the kitchen and seeing all the big pots on the stove. All the dishes were washed by hand- no big dishwashing machines yet- so I was put on silverware duty under the watchful eye of the dishwasher. 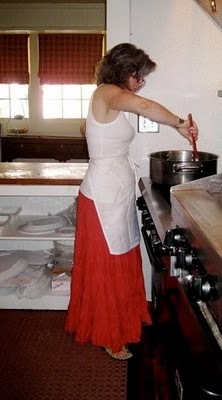 A big kitchen apron was wrapped around me and I would get to dry silver until we went home with Mom at 8pm. Because of Mary Mac’s proximity to downtown and it’s offices, the place filled with business men at lunch. Mary Mac’s already had a reputation for good food when mom bought it but she must have increased the goodness as the restaurant grew in popularity. Another reason for increased growth was mom’s reputation for moving people in out with efficiency and grace. The business folks knew they could get a delicious meal quickly and be back to the office within their lunch hour. 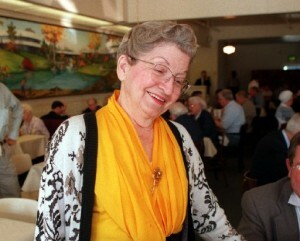 When Mom was calling checks on the steamtable line, she was working the dining room, busing tables, chatting with guests and gracefully moving people along. When Mom came to scratch your back, you had received the signal it was time to leave so the next guest in line got their turn to eat mom’s delicious southern food. I take for granted what an experience it was to grow up in a place like Mary Mac’s. When you are in the midst of it, you can not see the wonder of it until you step back to see it from the outside in. I never thought it was particularly strange to have a mom that worked though I was one of the few girls at the time who did. I was born in 1960 and mom had a small restaurant in downtown Atlanta – Margaret’s Tray Shop. It was a cafeteria style restaurant that served lunch daily to the office workers. A great many of it’s customers worked for the IRS and when they move their headquarters to the suburbs in 1962, mom lost most of her client base and had to close. She went to work for Mary McKensie who had started Mary Mac’s in the late ’50s. 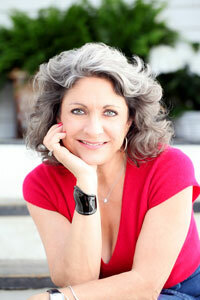 A few weeks after starting, Mary announced she was getting married and moving to Florida. “Do you want to buy the place Margaret?” she asked. Thus started mom’s amazing time at the restaurant. Mom had picked up her passion about food from her mother, Lucille Kennon. Miss Lucille, as she was known in Columbus Ga, had been widowed at a young age and left with 5 children to support. She left the family farm in Salem, Alabama and moved across the river to Columbus. In need of a job, she went to work for the school system and eventually became Georgia’s first female dietitian for the school’s. Mom would go to the kitchen with her mother in the morning before school and then meet her after for the walk back home. Though mom graduated from Georgia Women’s College with a degree in Latin at the age of 19 and as the valedictorian!, something in that kitchen must have “cooked” her because when she moved to Atlanta several years later as a divorcée with a young son, she went to work for a hotel in Atlanta, then the tray shop and the purchase of Mary Mac’s in 1962. 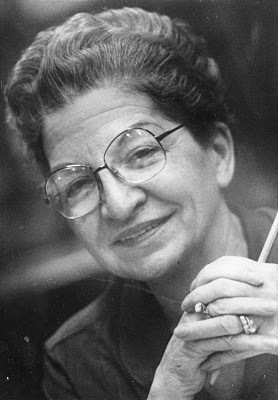 When I think about it, mother had amazing courage because there wasn’t a lot of societal support for working women. Yet, she had incredible support from her family, especially my grandmother and aunts. All of them working women with college degrees- even my grandmother who had her degree from Pratt Institute. My mother was constantly encouraging (sometimes pushing) to find a career and a passion. The subject was never about getting married and having children as might have been expected. In my family, the women were expected to pursue the career of their choice. And like my mother who watched hers, I choose the world of food to make my mark. People always ask me if I cooked as a child in mom’s restaurant and are surprised when I say no. I did cook with mom at home on the weekends in our kitchen but in the restaurant, I only remember drying the silverware, that is all she would have me do! Actually, Mom didn’t physically cook in the restaurant kitchen either, they were her recipes but she never cooked. Mom had 20-30 people to prep and a kitchen manager. I never saw my mom cooking in the kitchen at the restaurant. She had the bakers, vegetable people, meat people… from my recollection, she never cooked in the kitchen. She would create recipes, she would do that at home but never cooked them. One thing Mom was famous for besides her cooking was her back scratching. She would go over to her customers, touch them, and scratch their back. People loved that from mom but they also knew that especially at lunch time, a backscratch also mean’t it was time to go. Funny, years later I find myself also reaching out to my customers in a similar way. In the past few weeks there has been lots going on. I have been thinking a lot about mom as I’m writing the blog and recently in the Farmhouse I am signing my mom’s cookbook…. to have 3 woman asking me to sign my mother’s cookbook…. it amazes me. Someone asked me for my red pepper soup recipe the other day and I realized I just kind of put things together. I was able to give her the ingredients but don’t really have the amounts written down. It still seems weird to me that people ask these things. …….it even makes me think of my own cookbook one day! I began to think about what Mary Mac’s meant to the city of Atlanta and most importantly what mom meant to me. My mom was the queen of Dixie cuisine, I often think how do I embrace it? Growing up in the restaurant makes me realize you have to fully embrace your heritage before you can claim your spot. I sometimes forget that I now have my own restaurant. I just kind of happened into it, it’s not like I set out to have my own restaurant. 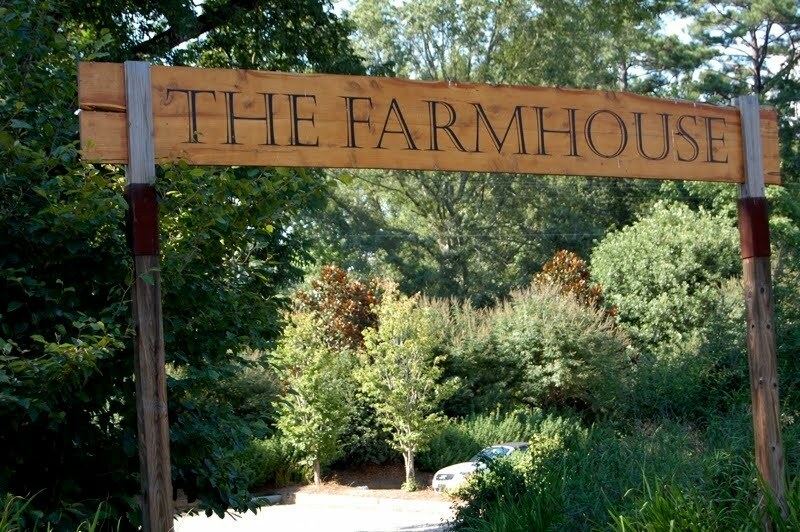 For me, I aspire for the Farmhouse to be good food and soulful …..it’s just a different version of my mother’s. What I really fully appreciate more about mother was that she created an environment, it was all about good nourishing simple southern food. Half of the experience in Mary Mac’s was my mother and what she created by being an amazing southern hostess, coming from her graciousness. Creating an atmosphere that is welcoming, you feel good there, that is what Mother’s restaurant was. It was as if it were her personal dining room. For some people it was like coming home. to be continued…… my plan is to have my story as a weekly posting so stay tuned…..
Simmer for another 30 minutes. Mash potatoes and onion mixture in the stock thoroughly with a potato masher. Taste and reseason. This should be a thick, heavy, creamy soup. If too thick, thin with milk and taste for seasonings. Simmer soup for 5 minutes, and you have my favorite meal. To steam crabs, place in pot with 2 inches of boiling water, 1 teaspoon of vinegar, and 2 teaspoons of salt. Cover and steam on high heat for approximately 30 minutes. Cool crab under cold tap water. Pick crab and drop crabmeat into soup. If you use shrimp or scallops, sauté them quickly in butter, then add to the soup. **my favorite addition is crabmeat. Steam live crabs and pick the meat from them or use pasteurized or frozen crab meat as a last resort. No canned seafood, please. The soup would be better with no seafood at all than with canned seafood. 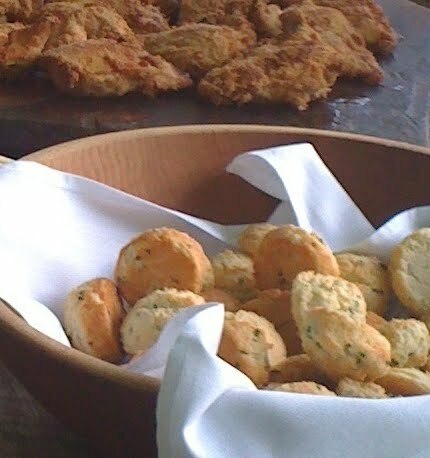 From the cookbook: Southern Cooking from Mary Mac’s Tea Room by Margaret Lupo. I am off to Boulder to help my youngest daughter set up her apartment for her senior year of college. Back in a couple of days for more blogging and stories from Boulder.